Official update on SBI Clerk Mains Result 2016! Result under process and will be declared on finalization. 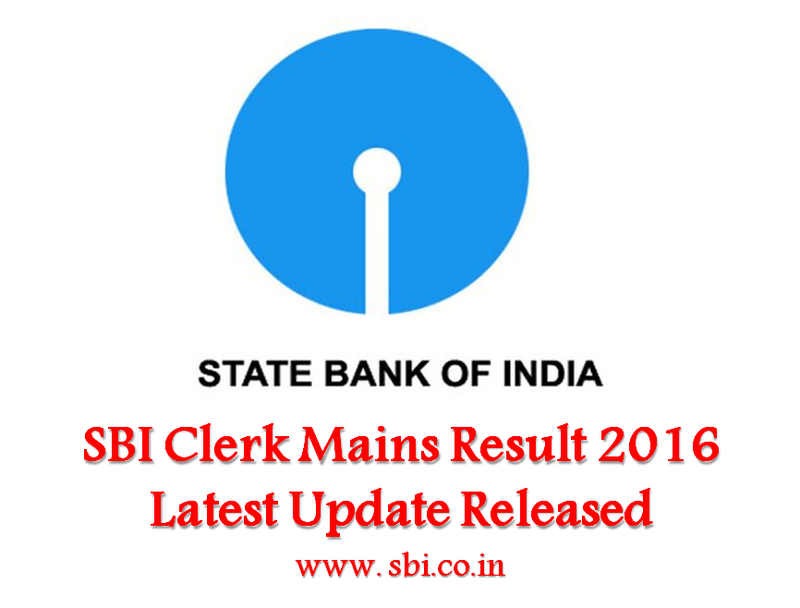 Finally SBI has broken the mum and released fresh update about SBI Clerk Mains Result 2016. The result declaration is in process and will be announced after finalization. Huge numbers of candidates are waiting anxiously for the SBI clerk mains result. The examination was held on 25 and 26 June 2016 for recruiting candidates to Junior Associate (JA) and Junior Agricultural Associate (JAA) posts. Candidates, who qualify the SBI clerk mains result 2016, will be eligible to appear for the Phase 3 of the selection process. Qualified candidates will be placed according to their marks in descending order in respective categories. Number of candidates to be called for interview will be in the ratio of 3:1 to the number of vacancy. SBI will follow strict selection procedure for sorting out eligible candidates and preparing the merit list. The marks obtained in the Preliminary Examination will not be added for the selection. Only the marks obtained in Main Examination (Phase-II) will be added to the marks obtained in Interview (Phase-III) (if interview is held) for preparation of the final merit list. Final select list will also be published in Employment News/ Rozgar Samachar and the official website of the Bank. SBI had notified about 17000+ vacancies in Junior Associate (JA) and Junior Agricultural Associate (JAA) posts. The examination was held in two phases: preliminary and main. The preliminary examination was held in the month of May and the main examination was held during June. Near about 3 lakh candidates had qualified the preliminary exam and had been declared eligible to appear for the main examination. Candidates those who qualify (all the selection phases) will be appointed against the 17000+ vacancies available for the posts of Junior Associates (customer support and sales) and Junior Agricultural Associates.